Peaceful Talisayin Cove on a weekend. There were only one other group on the cove. Private Transportation: Head North to North Luzon Expressway. Exit at Dau then transfer to SCTEX heading to Subic. 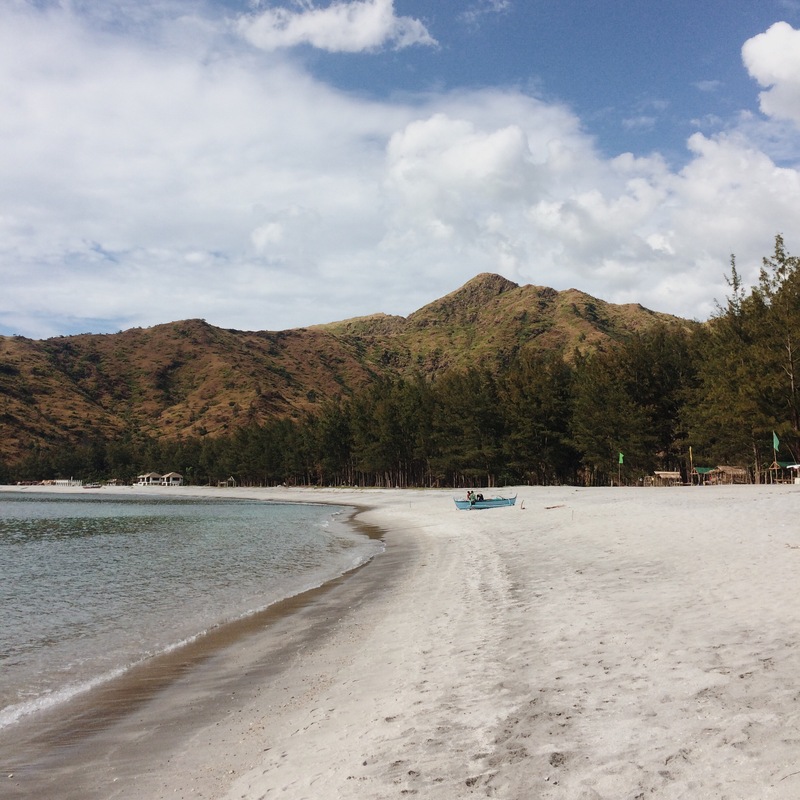 Upon reaching Subic, head to the national road heading to San Antonio, Zambales. Then follow the road leading to Pundaquit Beach. Ask locals for directions, Pundaquit is a well-known surfing spot in the area. 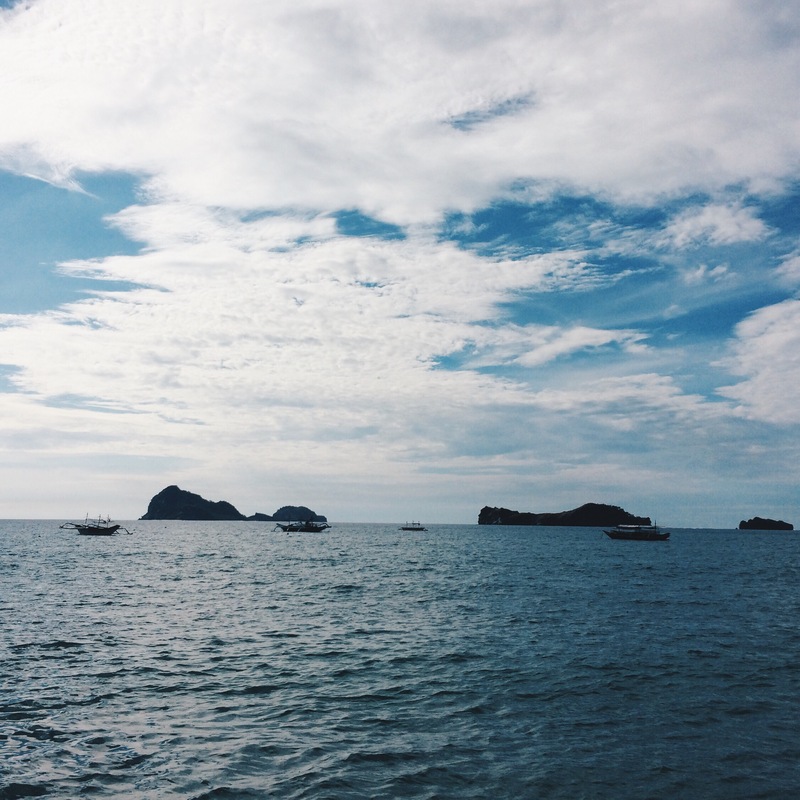 Then ride a boat to Talisayin Cove. 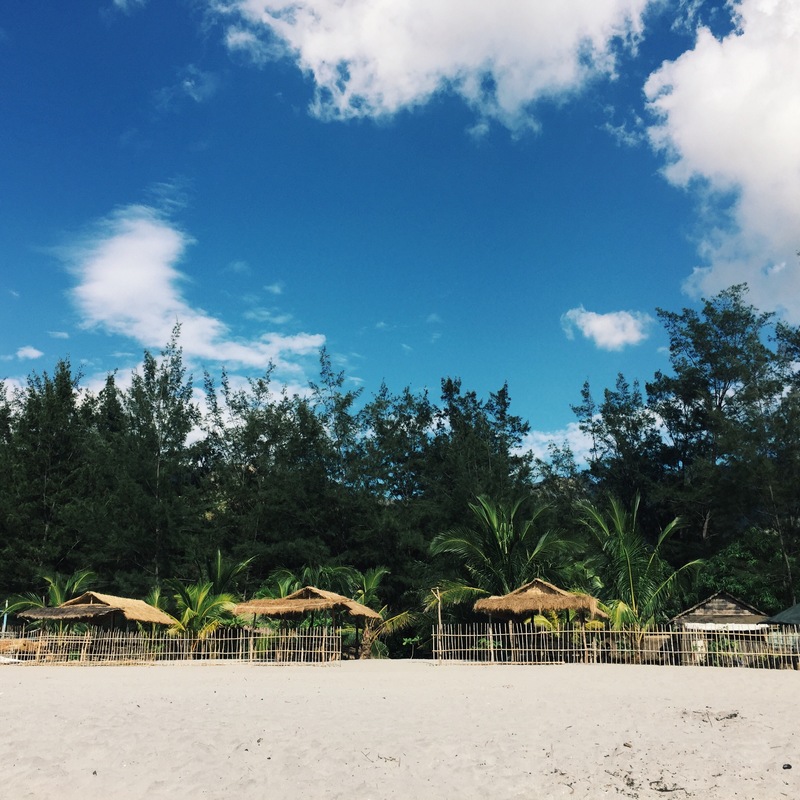 Van Rental: We rented a van to Pundaquit Beach and back to Manila for only P7,000 for the whole weekend for only P7,000 inclusive of toll fees, parking fee and gasoline. If you feel like renting a van you may contact Kuya Romy at 0927-869-1703. We rode an L300 13-seater Exceed Van with Dual Aircon. Public Transportation: Ride a bus to Iba, Zambales. Victory Liner has regular schedules to Iba. 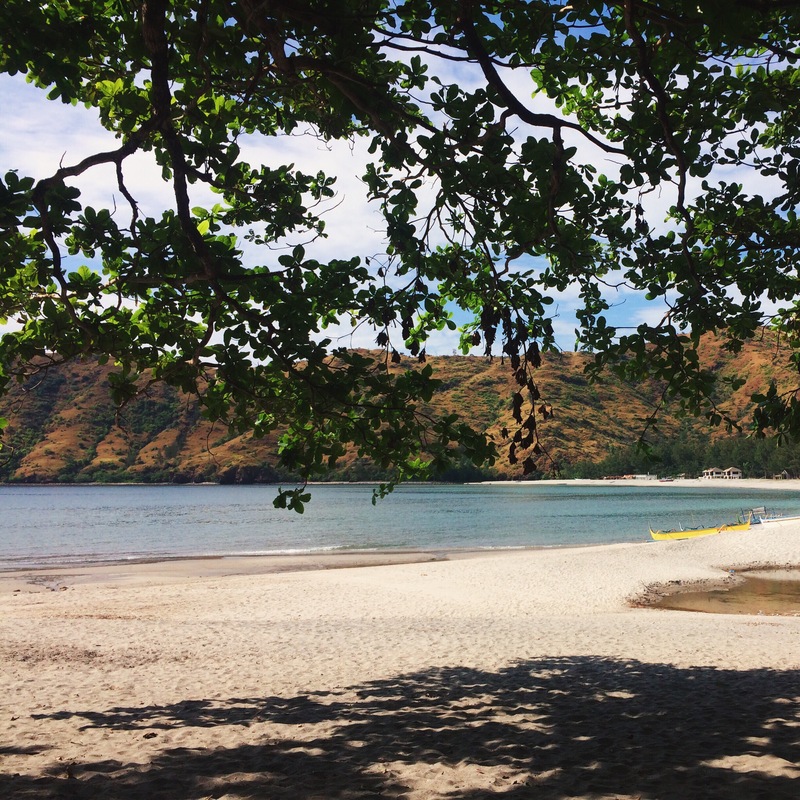 Go down at San Antonio, Zambales. Ride a tricycle to Pundaquit Beach. Then boat ride to Talisayin Cove. Boat Ride: Upon reaching the beach hire a boat to bring you to Talisayin Cove. You may also ask locals around for boat for hire. Price varies depending on the size of the boat. There are no resorts in Talisayin Cove. Camping is the only possible option. At the left side of the cove, there’s a private resort/house but we do not know if they offer accommodations. Just bring your own tents or rent one since the place is very suitable for camping anyway. This will save you a lot of money too. There are makeshift restrooms, where we stayed. We got a good deal from our boatman Kuya Joven. He offered us a small boat to the Talisayin for only P500/head with side-trip to Capones Island which included the following: Tents for the group, Capones island Side-trip, cooking equipment from stove, tongs, etc., 5 gallons of drinking water and cooler. Since we do not want to hassle ourselves on bringing our own camping materials, we took the deal. You may contact Kuya Joven at 0915-959-9595. We departed for Zambales early in the morning. Travel took around 5 hours. As advised, we bought our supplies at the public market in San Antonio and did some last minute supply check before heading to Pundaquit. 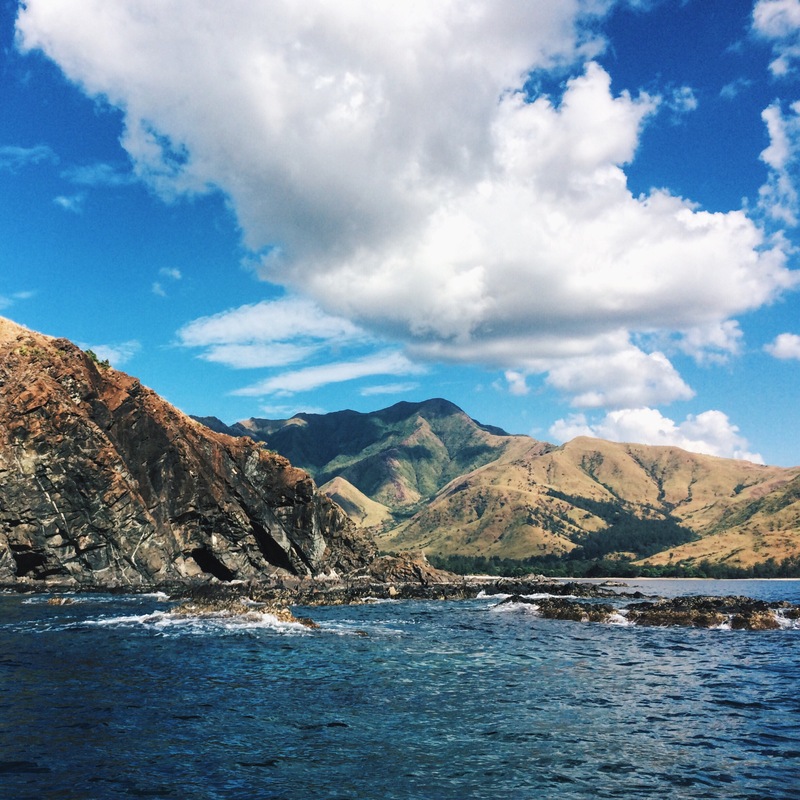 The boat ride didn’t feel that long since you’ll pass by the breath-taking rock formations and mountains of Zambales. You’re also going to pass by the more frequented Anawangin Cove. We forgot to ask the name of owner of the camping area we stayed at. If you’re facing the cove, it’s located on the rightmost part, after the stream. They charged us an entrance fee P100 each. They also have cottages which you could use. The owners where really helpful. They prepared the grilling area for us and even provided us with gas to prepare the charcoal for grilling. They have clean restrooms and changing areas; they also have a deep-well. Explore the cove. On the opposite side there’s a small trail. 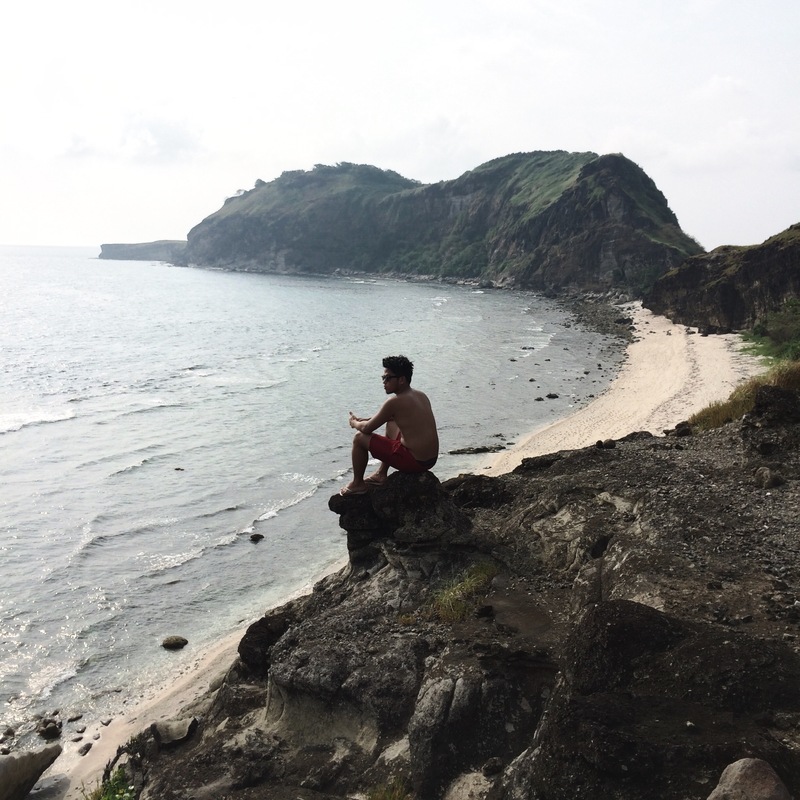 We reckon, it will take you around 15-20 minutes to reach atop the hill where you could have a better view of Talisayin Cove. Swimming is possible. The sand is similar to Anawangin’s and Nagsasa’s. Water is clear. Just be careful since the sea gets deep fast. Don’t forget to star gaze at night. This was one of the highlights of our trip. 0900 Break camp. Depart for Capones Island Side-trip. 1130 Arrival at Pundaquit Beach. Depart for Manila. Sadly, the schedule of our boatman didn’t permit us to visit Capones Island anymore. We were picked up at around 2pm in the afternoon already. The IT above is very doable. Just advise your boatman to pick you up early in the morning so you could still do a Capones Island side-trip. Since we were not able to do a side-trip, we only paid P350 to Kuya Joven. Since we’ve been to Capones Island before, here are some tips: Ask your boatman to bring you to the lighthouse. It’s on the western tip of the island. They only do so if the waves permit. Hike up and you’ll see the abandoned but still functional lighthouse. May may go atop the lighthouse and view Capones Island and West Philippine Sea from there. Most of the boats would drop you off on a rocky cove south of the island. It’s not that swim-able there. If you’re facing the cove, there’s a trail going up a hill. It will only take you 5-10 minutes to go up. Here you’ll see a breathtaking view of Capones Island. Definitely a must-visit. If you want to swim, follow the trail, but instead heading left and up, head straight past the bushes. This will lead you to the beach facing Camara Island. 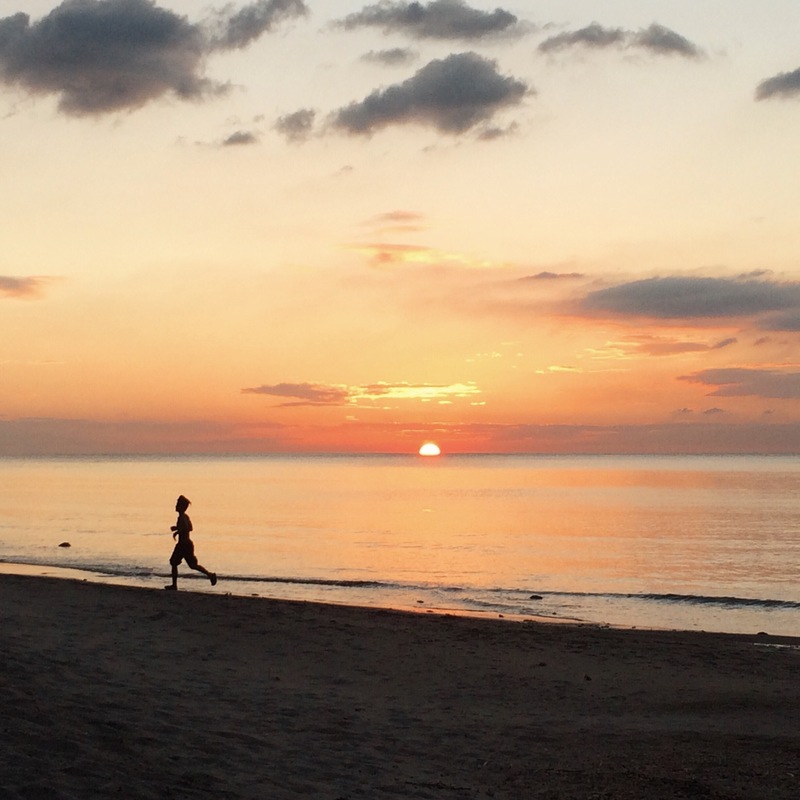 Walk all the way towards the beach facing Pundaquit/Zambales mainland. The sand is whiter, finer and the sea is less rocky compared to the initial drop-off beach. Van Rental: P7,000 inclusive of Gas, toll fees and parking fee good for 13 pax. For the car used, it can comfortably seat 10 but 13 pax. is possible. Boat: P350/head for Talisayin round-trip inclusive of tent and cooking equipment. P500/head for Talisayin roundtrip with Capones Island side-trip. Food: Cook your own food. Best if you could bring your own raw materials instead of buying at the wet market. Don’t forget to buy your suppliers at the town proper of San Antonio before heading to Pundaquit Beach. Prices here are cheaper. There’s a wet market near the church where you could buy raw materials and meat. There’s an ATM in San Antonio, Zambales. Don’t rely on it too much because it’s the only one in the whole town. Bring extra cash. Phone signals is non-existent at Talisayin Cove. It’s best to bring your powerbanks. They turn off the electricity around midnight. Bring your headlamps. Hi! Your article was so thorough and very helpful! Was wondering about the private transportation way. If I take my own car and want to head to the cove.. is there no way I can get to talisayan cove with my car? Or if I do have to leave it at pundaquit is there a safe parking area?